The suspension of all new federal regulations by the incoming administration will not impact BasicMed reforms, as had been feared by some in the aviation community. The directive issued on January 20 by White House Chief of Staff Reince Priebus halts publication of new regulations until approved by an agency director appointed by the incoming administration and suspends the effectiveness of previously published regulations for 60 days. The published effective date of the BasicMed rule, May 1, 2017, is more than 60 from the January 20 directive, which exempts BasicMed from this directive. Additionally, the directive excludes those regulations subject to statutory deadlines. 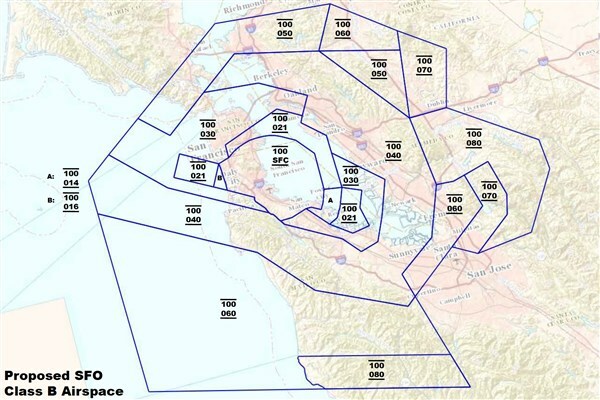 Proposed San Francisco Class B airspace changes would enable lower-angle descents into SFO optimized for the higher glide ratios of modern jet aircraft, reducing noise and fuel consumption. “A low thrust descent in a clean configuration results in the smallest noise footprint [regardless of altitude], and a descent in a clean configuration at near idle thrust results in lower fuel burn” says Rick Cote, an ATC Specialist with Northern California TRACON (NCT). Assuming Presidential approval, The FAA has funding security for nine months after the Senate passed the so-called "Cromnibus" spending bill that approves appropriations for most government departments through September 2015. The vote on the $1.3 trillion spending bill was held late Saturday and rejects an administration user fee proposal and gives the FAA approximately $440 million more than the administration proposed. The FAA gets $15.72 billion and includes money for NextGen implementation. The National Air Transportation Association (NATA) stayed up late Saturday night to follow the legislative process and President Tom Hendricks said the relative stability is welcome. "Taking such action funds important priorities such as NextGen and removes the budgetary uncertainty the agency faces when operating under short-term funding bills," said Hendricks. Operation Good Cheer, the annual delivery of donated toys by general aviation aircraft to foster children in Michigan, is short 30 airplanes and pilots of the 100 it needs to get toys to over 5,248 children this Saturday, December 6. Each foster child has a sponsor who has purchased, wrapped and delivered gifts to the Oakland County International Airport (KPTK) where they will be loaded into airplanes flown by volunteer pilots to airports across the state. Operation Good Cheer is looking for another 30 pilots who have access to aircraft this Saturday and want to play Santa for children who might otherwise not receive gifts at Christmas. Volunteer pilots are asked to complete a Pilot Application at the website of the nonprofit association that organizes the toylift, Child and Family Services of Michigan, or simply fly into KPTK by 8:00 AM Saturday and advise ATC that they are there for Operation Good Cheer. FAA Administrator Michael Huerta will update a congressional committee on the implementation of ADS-B requirements for general aviation at a hearing in Washington today. Aircraft operating in certain types of airspace will be required to have ADS-B equipment on board by 2020 but so far only a fraction of the fleet has been equipped. Huerta will be the key witness at the House Committee on Small Business's session entitled FAA's 2020 NextGen Mandate: Benefits and Challenges for General Aviation. The committee is looking for insights into the process so far, the benefits for GA and the "importance of incentivizing and ensuring widespread adoption." After months of negotiations and a legal challenge in the courts, EAA said this week it has agreed to pay the FAA's expenses to send controllers to AirVenture through 2022. "This ends the uncertainty that began with the FAA's sudden assessment of ATC fees for the 2013 event and the potential that air traffic support might not be provided this year or in the future unless such fees were paid," EAA said in a statement on Friday. After EAA was forced to sign a one-year ATC agreement under protest in 2013, the organization filed a petition with the U.S. Seventh District Court of Appeals, arguing that the FAA has no legal right to charge for ATC services without clear Congressional authorization. That challenge has now been dismissed by the court and can't be filed again, EAA said. In a strongly-worded posting on its website, the FAA directly addressed what it called “misconceptions and misinformation about unmanned aircraft systems (UAS) regulations.” It listed seven common myths and set out the underlying facts on each. 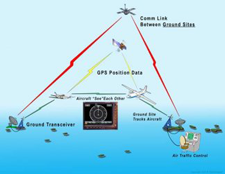 The myths include that the FAA doesn’t control airspace below 400 feet—it is responsible for all U.S. airspace from the ground up, and said it believes the myth comes from the idea that manned aircraft must generally stay at least 500 feet above the ground; that commercial UAS flights are legal if over private property and under 400 feet—not so, trying to operate a UAS commercially by claiming compliance with Model Aircraft guidelines doesn’t cut it, commercial operations must be approved by the FAA on a case-by-case basis; and that commercial UAS operations fall under a “gray area” of the FARs—again, not so, operating any aircraft in U.S. airspace requires some level of FAA approval. A new federal budget plan released by the White House on Tuesday includes a proposal to "establish a surcharge for air traffic services of $100 per flight." NBAA President Ed Bolen said similar proposals in the last three budgets were stopped when the aviation community mobilized and asked elected officials to oppose the fees. 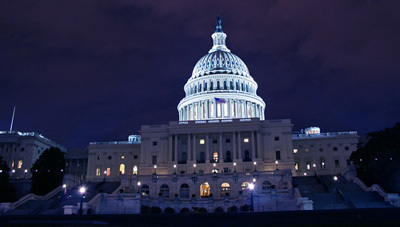 "There is bipartisan opposition to user fees on Capitol Hill," Bolen said. NBAA will continue working with leaders in Congress, he said, "to support FAA funding and aviation system modernization without user fees for general aviation, so that our nation's aviation system can remain the world’s largest, safest and most efficient." General aviation already pays for its use of the aviation system through the fuel tax, Bolen added. To thunderous applause from alphabet groups, the House passed a bill last Tuesday that will force the FAA to go through a formal rulemaking process to institute its controversial sleep apnea measures. 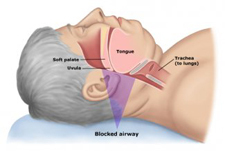 As we reported in November, FAA Air Surgeon Dr. Fred Tilton sent a newsletter to air medical examiners telling them that any pilot with a body mass index of 40 or higher would have to undergo an expensive evaluation at a sleep clinic to determine if he or she has obstructive sleep apnea (OSA) and be cleared to maintain their certification. The memo caught the entire U.S. aviation community, including AMEs, by surprise. There was a flurry of protest but Tilton wouldn't back down. The FAA measure was widely criticized for its scope, cost and questionable impact on safety. The House bill was proposed last month and a parallel measure is before the Senate. A lightning strike that injured an air traffic controller at Baltimore/Washington International Thurgood Marshall Airport has exposed a potential vulnerability at air traffic control towers during storms. It has prompted Federal Aviation Administration officials to inspect hundreds of towers nationwide, according to the Associated Press. The FAA said in a statement that the accident was "the first of its kind in FAA history," and the agency plans on "assessing the condition" of lightning protection systems at the 440 air traffic control towers it is responsible for across the country. In particular, the agency said it will examine lightning protection at more than 200 towers that were built prior to 1978, when the FAA first issued standards for the protection systems. 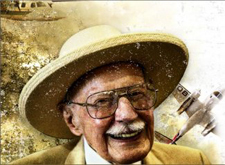 A special event to honor the life and achievements of Bob Hoover will be held Friday, Feb. 21 in Los Angeles. Guests will join the aviation community, "including celebrities, leaders, and icons," the organizers say, for a night at the Paramount Studios Theater. The event schedule includes a red-carpet reception, dinner, speakers and the premiere of a new documentary film about Hoover's life, narrated and introduced by Harrison Ford. A maximum of 500 tickets will be sold, at $950 each. Tickets are still available and can be purchased online at the event website. In his long career, Hoover has served as a combat pilot, test pilot, air racer and legendary airshow performer. The NTSB says the pilots of a Southwest flight that landed at the wrong airport last week simply followed the wrong bright lights after opting for a visual approach to what they thought was Branson Airport in Missouri. According to the board's preliminary report, the crew was told by the Branson tower that they were 15 miles from the airport and cleared for a visual approach for Runway 14. The welcoming lights of Runway 12 at M. Graham Clark Downtown Airport, in Hollister, Mo., about six miles north of Branson, caught their eye and they set up for an initially uneventful landing on the 3748-foot runway. "They confirmed that they utilized heavy braking to bring the aircraft to a stop and then advised the Branson Airport tower that they had landed at the wrong airport," the NTSB said in its initial report released Friday. Textron expects to gain $65 million to $85 million annually with the "synergy" of combining Cessna and Beechcraft into its new airplane company but it's not yet saying exactly where those savings might be realized. 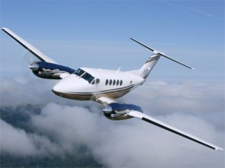 As AVweb reported Thursday, Textron is buying Beech for $1.4 billion. In a conference call with analysts on Friday (recording available by calling (320) 365-3844, access code 314378). Textron CEO Scott Donnelly said it's likely most of the money will come from savings that result from overlap of functions and premises but there have been no decisions on if and where cuts might be made at either company he acknowledged that cuts are coming. The FAA is moving ahead with implementation of mandatory screening and tests (apparently regardless of widely reported objections) for obstructive sleep apnea in pilots with a body mass index (BMI) of 40 or higher, the agency said Thursday. Individuals are typically categorized as obese by current BMI charts if they score a number higher than 30. AOPA, EAA, the Civil Aviation Medical Association and members of the U.S. House of Representatives are among those who have requested the FAA make substantive changes to lessen the impact of its new sleep apnea policy. The FAA would require additional medical evaluations for those pilots determined to be outside of the FAA’s safe (under 40 BMI) range. Pilots scoring 40 or higher would have 60 days to receive an evaluation or have their medical certificate disqualified. Van's Aircraft is now taking orders for its second batch of ready-to-fly RV-12 airplanes, the company said this week. Van's, which has sold more than 8,000 kits around the world, offered a dozen S-LSA versions of the RV-12 last year, and sold out the first day. The new batch of 12 sells for $123,000 each, fully equipped, or $115,00 for the base model. The aircraft components are built by Van's and assembled into an S-LSA by Synergy Air of Eugene, Oregon. Zaon Flight Systems, the maker of the popular PCAS portable traffic alerting system, has ceased operation according to Sporty's Pilot Shop and Aircraft Spruce and Specialty, two of the company's largest distributors. Both distributors told AVweb that Zaon "is out of business" and couldn't offer any suggestions for obtaining support for existing Zaon products. 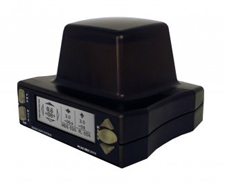 Zaon introduced the first portable collision avoidance solution - the TPAS - nearly a decade ago, selling over 3000 units in just a few years. The Navy christened its first new-design aircraft carrier Nov. 8 but it will be at least two years before the USS Gerald R. Ford is delivered to the Navy. The ship, which is the first of a series of Ford Class carriers, got the traditional wine bottle across the bow from the late president's daughter Susan Ford Bales as it got ready for its formal launch and a short trip to the fitting out berth in the Newport News shipyard. 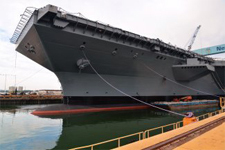 Planning for the carrier began more than a decade ago and it has been under construction for four years. The drydock was flooded Oct. 11. The carrier will hold more aircraft, including drones, and be able to launch and recover them up to 25 percent faster than the Nimitz class carriers that were launched in the 1970s. Lighthawk, a nonprofit group based in Wyoming that works to use volunteer airplanes and pilots to promote environmental conservation around the world, recently was awarded a grant from AOPA to help expand outreach efforts. The group was one of 10 recipients of $10,000 grants in AOPA's first "Giving Back" awards, which were announced at AOPA Summit. "This program is our way of supporting those groups that are making a difference through charitable programs that rely on general aviation," said Stephanie Kenyon, vice president of strategic philanthropy for the AOPA Foundation. NOAA’s Office of Coast Survey, which creates and maintains the nation’s suite of over a thousand nautical charts of U.S. coastal waters, announced major changes ahead for mariners and others who use nautical charts. Starting April 13, the federal government will no longer print traditional lithographic (paper) nautical charts, but will continue to provide other forms of nautical charts, including print on demand charts and versions for electronic charting systems. In September the FAA said there are no plans to stop printing paper aeronautical charts, but if nautical charts are the example, it seems inevitable that the FAA will follow in the same footsteps by simply stopping the production of traditional paper aeronautical charts. 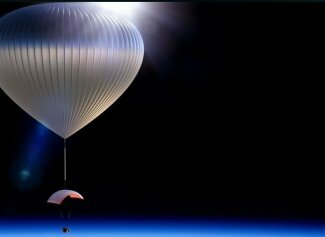 A new company this week announced its plans to offer high-altitude rides to about 98,425 feet in a pressurized capsule suspended beneath a helium balloon, for $75,000 per seat. The company, World View Experience, is based in Tucson, Ariz., and plans to launch the flights from Spaceport America, in New Mexico, no sooner than 2016. The capsule would carry up to six passengers and two pilots high enough to view the curvature of the Earth and the black sky of space. The ascent will take about two hours, and the travelers can then spend about two hours at altitude. To return to Earth, the capsule separates from the balloon and lands a half-hour later beneath a steerable parafoil. 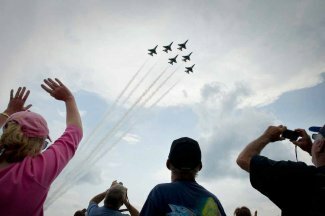 The Navy's Blue Angels and the Air Force Thunderbirds will return to a full airshow schedule for the 2014 season, military officials announced this week. "Community outreach is key to connecting Americans to the military," said Cmdr. Thomas Frosch, flight leader for the Blue Angels. "Our performances provide a unique opportunity to inspire millions to connect with and support our service members." The teams have been grounded since this spring, when federal spending cuts took effect, and many aviation events around the country were canceled when the teams and other military attractions were unable to appear. Citing the need to forge closer links with China’s small but growing aviation market, Wichita, Kansas, mayor Carl Brewer announced yesterday his city has opened an office in the Chinese capital. “We have 90 years of experience in aviation, and we think we can show our Chinese partners how to do some of the things we’ve learned. 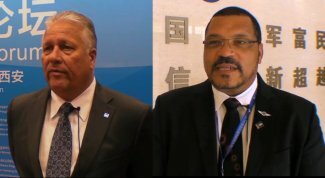 More importantly, we want to connect our businesses together.” AVweb interviewed Brewer and Shanghai-based William J. Shultz of Cessna Aircraft Company at the Chinese International General Aviation Convention in Xi’an, China. Just two months into his new job, AOPA President Mark Baker addressed an overflow crowd at AOPA Summit on Thursday morning, to lay out his vision for the future of the organization -- and also revealed a hint at the "real reason" that this Summit will be the last. In response to a question from the audience, Baker said switching from the annual meeting to a half-dozen regional fly-ins will create opportunities for AOPA to recruit new members. "There are still thousands of pilots who are not members of AOPA," he said. "These fly-ins will take our message out to where people fly." Legislation that would update FAR Part 23 and streamline aircraft certification, the Small Airplane Revitalization Act of 2013, has now passed through the Senate and will go back to the House of Representatives where it is expected to pass (again). The House passed its version of the bill back in July with a 411-0 vote before sending it on to the Senate. The bill aims to provide a more direct path for the certification of new aircraft designs that integrate new technology and safety enhancements. It would also provide a more effective path for existing aircraft to be upgraded and may reduce costs for pilots seeking upgrades. Redbird Skyport's offer to fill your airplane's tank for $1 a gallon during October has drawn so much activity that the organizers have decided to end the promotion two weeks early, spokesman Jeff Van West said on Tuesday. "In preparing for this experiment, we planned for traffic averaging eight times normal," said Van West. "Actual response has been four times higher than that -- over 30 times our normal volume. By the end of the first week, we'd reached our data collection goal for the entire month." The incessant demand has become "unmanageable" for the Skyport staff, he said. Furlough of FAA aviation safety inspectors and NTSB accident investigators may put the country in default of its obligations under an aviation treaty that sets standards for safety for ICAO, former FAA lawyer Loretta Alkalay told Forbes magazine this week. The U.S. failure to approve a federal budget and subsequent partial government shutdown has furloughed some 3,000 FAA safety inspectors and stalled NTSB investigations. Alkalay told Forbes that the inspectors perform oversight and surveillance required under the Chicago Convention treaty. "It's hard to imagine that the FAA can meet its ICAO obligations without 3,000 inspectors," Alkalay told the magazine. "And violation of the treaty could have consequences for U.S. airlines." With a new federal fiscal year about to launch on October 1, FAA officials are facing a $700 million budget gap, according to Bloomberg News. A new round of automatic cuts will take effect in the new budget year and may have more impact than they did this year, sources told Bloomberg, citing briefings with FAA officials. The FAA also may revisit its proposal to close many contract towers, which was shelved last year, Bloomberg said. Bell Helicopter also blamed the federal budget cuts this week in announcing it cut 290 jobs in Fort Worth, Texas. "Sequestration is having an adverse impact on our industry, making the future for defense spending more uncertain than ever," Bell CEO Jim Garrison said on Monday. The recurring budget issues also have revived discussion about privatizing the air-traffic-control system. The annual AOPA Summit is coming up in a few weeks, in Fort Worth, Texas, but AOPA said on Tuesday this will be the last time it holds the event. "Convention plans for 2014 have been cancelled," AOPA said in a news release. AOPA said it plans to redirect the time and resources spent on the Summit to hosting more "grass-roots" events and visiting community airports. "I want our members to make a personal connection with AOPA, and that is best achieved by meeting them where they fly," said Mark Baker, AOPA president, who took office last month. The iFlightPlanner Crew will be setup with Sennheiser Aviation, the presenting sponsor of iFlightPlanner for iPad, in Booth #1307 at the Fort Worth Convention Center next month. In one of the bolder loss leader approaches we’ve ever seen, Redbird’s Skyport in San Marcos, Texas, will be selling avgas for a dollar a gallon throughout the month of October. What’s the catch? There really isn’t one, other than the company will ask fuel buyers to participate in a brief survey probing their views on flying habits and how—or even if—the price of avgas affects those views and, especially, flying behavior. “The idea is to test whether the cost of flying had either a direct or indirect or even a cumulative effect on the fact that there’s a lot less flying going on,” said Redbird’s CEO Jerry Gregoire. Aviation Consumer Wants to Know, Avgas vs. Mogas? As the quest for a replacement for 100LL drags into its third decade, Aviation Consumer, is seeking opinions from owners, pilots and aircraft operators on how you think the process is going. The FAA has established a special office devoted to a replacement for 100LL and piston fuels in general. They would like to know if you've followed the process and, if so, what you think of it. And what what about mogas? In some cases, it's $2 cheaper than avgas. Are you using it? If so, what are your experiences and if you haven't used it, why not? You can take the 5-minute survey by clicking here. We'll compile the results and compare them to the same questions we asked two years ago. A new feature from Xsight Systems aims to improve the detection of ground-level birds in real time, in severe weather, and in the dark, the company said this week. 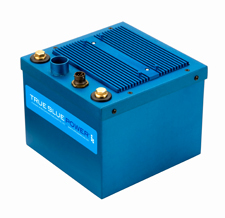 The feature, called BirdWize, is an add-on to a system the company sells for detecting foreign-object debris on runways. "Forty percent of all bird-related incidents happen on the ground," said Xsight CEO Alon Nitzan. "This solution provides airport personnel with a more effective way to track birds and their behavior patterns." 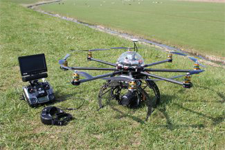 The product employs a dual technology sensor, with millimeter-wave radar and electro-optic abilities, together with radar and image processing, to help detect ground-level threats from FOD and birds if they appear on the runway, the company said. New legislation passed through the House last week calling for a restructuring of the FAA's Part 23 certification requirements for the purpose of expediting approvals for safety improvements. The Small Airplane Revitalization Act aims to remove bureaucratic barriers to evolutionary progress within the industry (for the introduction of new designs and the addition of improvements to old ones); to cut certification costs for manufacturers; and to give manufacturers more responsibility in the certification process. Industry trade groups spanning from GAMA to NBAA, EAA, AOPA and NATA have all expressed a range of support for the legislation, which now heads to the Senate. If it's approved there, new certification standards could go into effect within the next two years. An ambitious campaign to save a unique part of aviation history is on in Michigan but just like the events that created the Willow Run bomber manufacturing plant, the volunteers trying to preserve it face a daunting challenge. The Ford-owned plant, which churned out B-24 Liberators at the astonishing rate of one an hour during the Second World War, was bought by GM in the 1950s and used to build transmissions until 2009. The trust created to manage GM's assets when it went bankrupt has been trying to sell the defunct facility. The Michigan Aerospace Foundation wants to preserve 175,000 square feet of the structure to house the new home of the Yankee Aircraft Museum but it needs to raise almost $5 million in six weeks to do it. 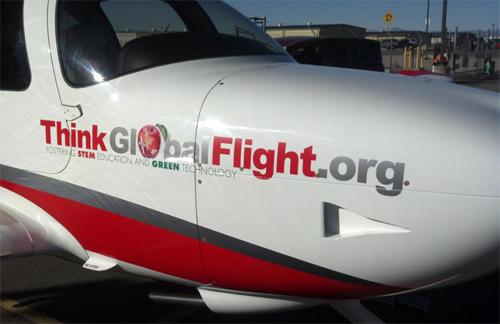 The Think Global Flight Initiative has received funding from the Wolf Aviation Fund as it gears up for a circumnavigation flight in support of a global effort to promote STEM education. Flight organizers have already involved 10,000 students in 10 countries (including 25 states in the U.S.) with projects to help with flight planning, navigation and logistics of the flight. Donors who want to be involved can buy a "Skyway" that will fund fuel for the flight. Judy Rice will be the pilot and she will be accompanied by navigator and relief pilot Fred Nauer. Rice said in an interview with AVweb the goal is to inspire and enthuse students all over the world in the "hard" subjects. The flight's Cirrus SR22 will launch from Sun 'n Fun 2014 and head west. Rice will fly alone from California to Hawaii for weight considerations and then she and Nauer will hit dozens of stops from there. The duo will visit each of 25 "student command centers" that are now busy with projects related to the flight. Numerous aviation organizations and companies, including AVweb and iFlightPlanner, are sponsoring the flight. In an open letter to the general aviation community sent just before the Memorial Day weekend, FAA Administrator Michael Huerta asked each pilot to "make sure you're ready -- really ready -- to fly." The letter (PDF) noted that GA accident rates have remained "stubbornly flat" in recent years and asked everyone in the GA community, from pilots to mechanics to passengers, to share some simple messages. Huerta's advice includes: Take advantage of all training opportunities, know the weather for every flight, help to grow a safety culture among your local contacts, and intervene if you see someone doing something unsafe. Every year for EAA AirVenture, the FAA sends a batch of controllers to handle all the extra traffic at the Oshkosh tower, but this year, the FAA is asking EAA to chip in to cover their costs. The FAA wants to collect enough to cover the controllers' travel expenses, per diems, and overtime. EAA is not happy about the change. "This may be an early indication of further efforts by the FAA to charge GA operators for functions in ways that could add unforeseen costs for the average pilot who simply wants to enjoy flying," said EAA, in a news release. Jack Pelton, EAA chairman, called the change "alarming," and AOPA president Craig Fuller said it was "extremely troubling news." The closing of 149 federal air traffic control facilities that was originally scheduled for April and delayed to June 15 has been delayed yet again to November 1, 2013. The Department of Transportation said Friday it would fund air traffic technology and maintenance programs with $21 million by moving funds within its budget. The FAA was required by sequestration to cut $637 million from its budget. As drafted, the agency was granted little latitude in how it applied the cuts. That changed when controller furloughs correlated with commercial flight delays, and more changes soon followed. The opinions expressed in this column are those of Jason Blair and are not representative of AVweb or iFlightPlanner. 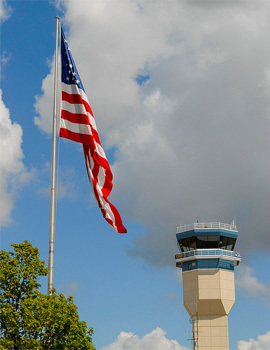 As the government's budget sequestration gains steam, the FAA is expected to announce which control tower might close as a result, perhaps as early as today. Discussion on this topic has produced plenty of opinions, some valid and some best characterized as fear mongering, in my view. 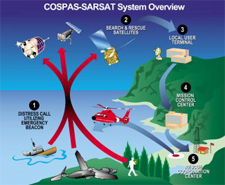 Sequestration cuts will likely result in at least temporary tower closures. This isn't the doing of the FAA, but that doesn't necessarily mean the FAA is choosing which towers will close in a manner that best serves long-term aviation interests or safety. I am hopeful that any permanent closures will be evaluated using more thorough methodology. There actually is a formal process to do this. The Steamboat Springs/Bob Adams Airport in Colorado says they've successfully tested a new method of snow removal that's safer and more economical than just plowing it out of the way, which it began implementing in December after the city's Parks, Open Space and Recreational Services Department agreed to loan the airport a snowcat. The process also has eliminated the usual icy bank that pilots might have expected to find after overshooting the runway safety area at a mountain airport. Pilots landing in Steamboat Springs now find several inches of sand-like material in that area, which airport manager Mel Baker says can safely stop and support an airplane if it leaves the runway. Read the full article in The Steamboat Today about two pilots who unexpectedly, but thankfully tested a successful idea. Obtaining a pilot certificate in popular training areas of the southwestern United States may get more expensive as a result of the FAA's decision to limit the number flight tests DPEs will be allowed to administer. FAA spokesman Ian Gregor confirmed to AVweb's Russ Niles that the agency has capped flight tests for DPEs under the authority of the Scottsdale and Las Vegas flight service district office (FSDO). "The FAA routinely reviews procedures, policies and programs to ensure they are operating safely, efficiently and properly," Gregor said. "A review of our Designated Pilot Examiner (DPE) program identified potential issues with DPEs who conduct a high number of pilot flight checks. As a result, the FAA's Western Pacific Region is limiting DPEs in two locations; Las Vegas and Scottsdale to conducting 50 flight checks per quarter, or 200 per year." “Learning to Fly an Airplane” was first published in February 2012, and consistently ranked as the #1 eBook in its category on Amazon.com. It received positive reviews from flight instructors and students alike, and just recently was made available to would-be pilots and anyone who wants to know more about the flight training process free of charge. Ted writes, "This is the book I wish I’d read before taking my first flying lesson. “Learning to Fly an Airplane” is not about how to fly. Instead it walks you through each stage of the training process. It warns you of the pitfalls and encourages you when facing unexpected challenges. As a recent student, I believe you will improve your chances for success if you know more about flight training going in. You’ll definitely have more fun and less frustration." If you know of other resources that you think the iFlightPlanner community would appreciate hearing about, please let us know! AVweb contributing editor Glenn Pew spent a few minutes with iFlightPlanner co-founder Andy Matthews at AirVenture 2012 and filmed a quick piece that highlights the latest wireless sync features available with iFlightPlanner.com and iFlightPlanner for iPad. If you're not yet an iFlightPlanner member, simply head to https://www.iFlightPlanner.com/Join to create your iFlightPlanner FREE or Premium account!